Created Gay has over 250 LGBT focused sermons and LGBT centered devotions. New Sermon Baptized in Terror or in Grace? CreatedGay.Com. There is no contradiction between being gay and Christian. There is no contradiction between being bisexual and Christian. One can be queer and Christian. Homosexuals and bisexuals do not need to become straight to earn God's love. Trying to earn God's love by trying to change one's sexual orientation is a damaging and evil form of legalism. Wisdom 11:24 You love everything that exists and hate nothing that you have made; had you hated anything, you would not have formed it. 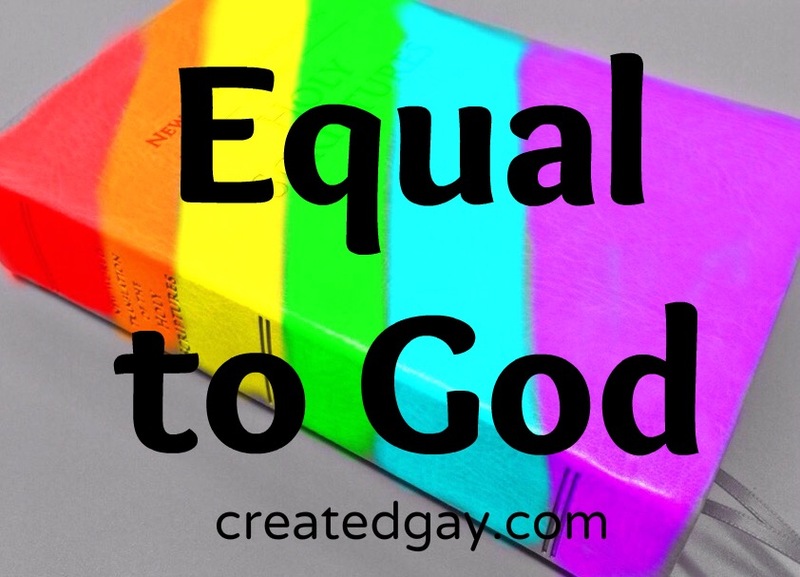 God does not hate you or you would not be created gay, created lesbian, created bisexual or created you queer. Understanding you are created gay is much better than understanding you were just "born this way." Your body is the temple of the living God. God loves you or God would not live in you. Your broken spirit will start to heal when you accept the fact that God loves you and wants you to be just as God created you. John 12:32 is quite clear. Jesus, when speaking about His crucifixion, states, And I, if I be lifted up from the earth, will draw all people unto me. All people includes, gay, lesbian, bisexual, asexual, trans, intersex, queer, questioning and straight people. Jesus Christ plans on taking His queer tribe home to the heavenly.